So I haven’t done a blog in awhile, but I thought I’d get back on the horse and do a new one. Today we’re going to talk about processing audio through pedals. It’s something i’ve increasingly been taking advantage of, in both mixing and while i’m recording. So first, just some basic info about me. I love and have always loved tactile instruments and effects. It just makes so much sense to me. I love being able to interact with the gear in real time, and hear the changes i’m making with my hands. I’ve yet to really find a software solution that eliminates that, and to be honest, I don’t really care if I do find one. This works for me and it’s only been getting more exploratory as the years have gone on. I’ve been tracking through pedals for a bit now, mainly while recording synths. This was usually a delay or a reverb, and also mostly in stereo. About a 1 1/2 years ago, I got one of these little boxes pictured below. 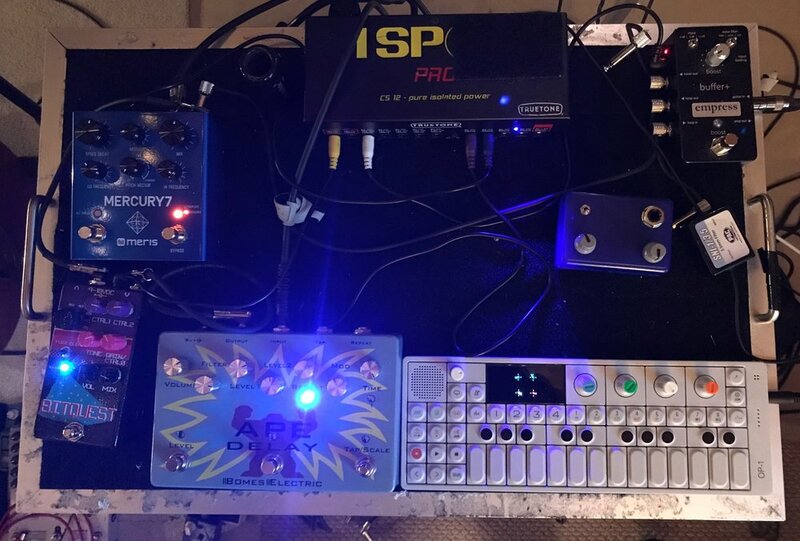 It basically allows me to use my pedal collection make unique, custom delays, reverbs and sounds that would take me forever to do in the box. Here I’m running my OP-1 into a few different pedals, and then sending the output into the EXTC and then into Logic. I don’t have to use the EXTC for this, I could just use a DI, but it’s already patched in. I can also process the audio out of Logic into the effects and back in just as easy as I have it set up as a hardware insert in both Logic and Protools. Works like a charm and well worth the experimentation! In the track below, you can hear some of the processing i’ve done with it. Basically everything in the song is going through pedals at some point. All right, installment #2 of Making Noise! Today, we're going to be talking about the Teenage Engineering OP-1. This little box is a synth, drum machine, 4-track recorder, sampler, and one heck of a good time. I got mine about a year ago, and it might be the most creative instrument I've ever purchased. I'm not going to dive too deep into the specifics of it in this post, but you can get all the info at the Teenage Engineering website. I'll probably go into some specefic uses in another post at a later date. So for starters, it has 10 different synth engines. These range from FM to Digital, String engine to a CV synth. You can sample anything you want, and turn that into whatever kind of synth you'd like. There is a full-featured drum machine, It has a pile of different effects that can be applied to each sound, 7 different sequencer modes, a 4 track tape recorder with all kinds of functionality. I've been using everything on it, from drums (sampling my own sounds and importing some of my favourite sounds) to all of the synth engines. I've been using the sampling engine to create some really unique pads, sequencing beats, using filters, etc... I really can't reccomend it enough. It's super intuitive, crazy fun, and just makes you think about music in different ways which is always good! You can use it as a midi controller in a pinch as well. The synth engines tend to be a little lo-fi, so they don't work in every context but they do in most. Live version of 22 (OVER S∞∞N) by Bon Iver. You can see him playing vocal samples for most of the song on the unit. His last album has this all over it, as does the last National record. They recorded really great sounding things (vocals, strings, etc...) and then processed it in the OP-1 to give them a grainy, synthesized, chopped up sound. Anyway, go check one out! They are hard to find new but they come up used every so often. Well worth the investment. I thought I would start a new blog post series where I briefly talk about a technique that I've found interesting lately or a piece of equipment, new or old, that has been inspiring to me recently. For the first one, I thought I would talk about the handheld voice recorder that I bought a few months back. 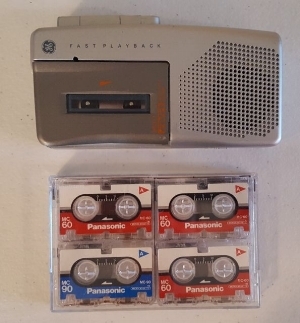 There are hundreds of used ones on eBay, using micro-cassettes or normal sized one similar to the one below. They usually have pretty cheap microphones in them that compress and distort whatever your recording, not to mention the warble and artifacts that come with the tape, which makes it a great tool for getting lo-fi sounds. I've been using it for field recordings, recording people talking and outside noise, etc... The other technique that I love it for is recording a pad, a drum beat, or even a whole track into the recorder, and then setting up a microphone and recording the playback of that back into Pro Tools. This allows me to mix whatever level of the new sound I want back into my track, kinda like a parallel tape saturation/bit crushed/general lo-fi track. They are super cheap on eBay, and well worth exploring for a number of purposes. Anything from what I mentioned to recording the same thing twice and getting a really dirty tape echo, or using it like how Kieth Richards did on Street Fighting Man by The Stones. Record a whole guitar track into the recorder and it becomes like a dirt pedal. So many great techniques. Try it out! 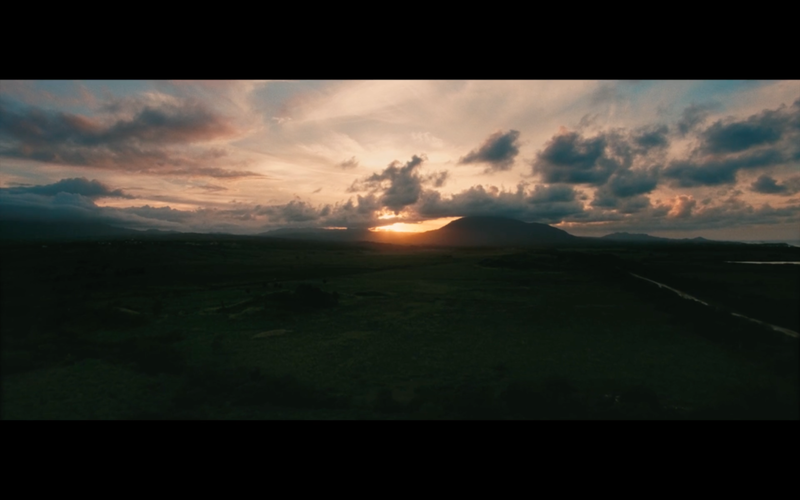 Rescate | Filmsupply Presents from Filmsupply on Vimeo. I recorded a little Christmas ditty for you all. Hopefully it will help you feel the cheer of the Yuletide. It’s available anywhere you can purchase/stream/download music. Enjoy! 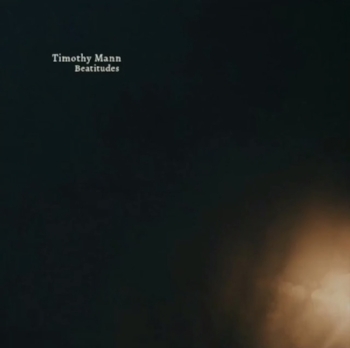 The dictionary defines “Beatitudes” as this: supreme blessedness; exalted happiness. To me it means selflessness and the idea of service or rescue. This record was written originally for a documentary focusing on volunteer emergency response workers in the Dominican Republic. The majority of the pieces did not get used, so I decided to put them together and make this project. Writing the music while watching the selflessness of the protagonists in the documentary affected me and got me thinking on this concept of Beatitudes. Being of service to everyone around us without the expectation of anything in return. Simply just thinking of myself less, whether that be with regards to family, friends, the marginalized, homeless, refugees, etc. I believe it is our highest calling on this earth to lay down our life for the service of another. Most of us, if we are being honest, are terrible at it. We have too many selfish desires. We too often think only of ourselves. We would rather the convenience of non-action, to the inconvenience of helping someone in need. That is where this project lives: in the tension between the desire to help but the unwillingness to sacrifice. Sometimes I do not like my response to need. Sometimes I do nothing, and just sit and wait for others. Sometimes I do exactly as I should, and go out of my way to help. I believe that for this world to restore itself, we all need to die to ourselves a bit more and learn to live out Beatitudes. Light in the darkness is unmistakable. You cannot miss it; it permeates everything.